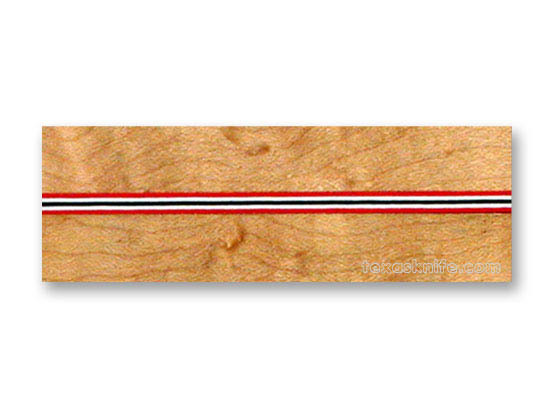 5 Layer Spacer R-W-B-W-R 1-1/2"x12"
This Red-White-Black-White-Red spacer is 1-1/2" x 12" x .1" thick. It is five layers of colored material (plastic) all laminated together to save you the time. The individual layers are about .02" thick. The material is waterproof and colorfast. This spacer looks sharp on the handles of hidden tang knives. Rod - Micarta Natural 3/16" dia. x 12"
Notify me of updates to 5 Layer Spacer R-W-B-W-R 1-1/2"x12"